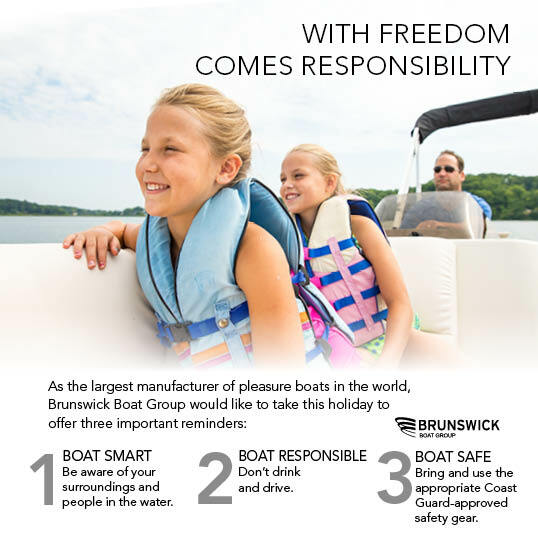 Harris Boats, part of Brunswick Boat Group, is reaching out to pontoon owners during National Safe Boating Week to reinforce the importance of alertness, sobriety and consistent life-jacket use while recreating on the water. The annual North American Safe Boating Campaign, coordinated by the National Safe Boating Council, is a yearlong effort to spread the message of boating safety. This year’s national theme emphasizes consistent use of life jackets with a simple motto: “Wear it!" The 2016 National Safe Boating Week runs May 21-27. Harris Boats reminds pontoon owners to never boat under the influence of alcohol or drugs, always be alert and follow navigational rules, and wear those life jackets!